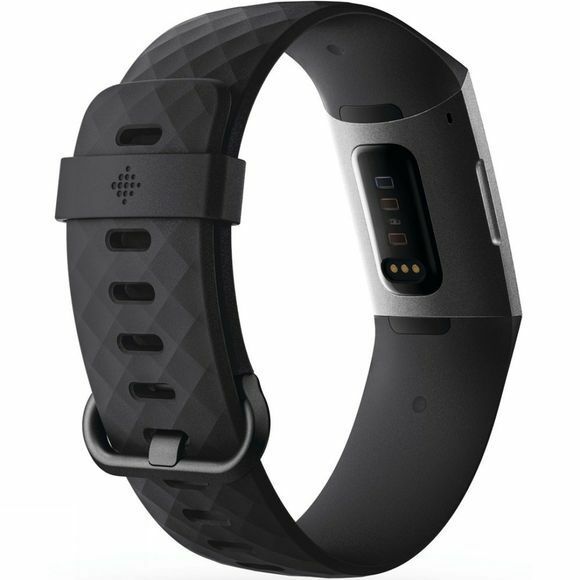 The Fitbit Charge 3 is an advanced health and fitness tracker which helps you to get a deeper understanding of your body, health and progress. Every day you’ll discover valuable insights into your health and progress - The Fitbit Charge 3 continually tracks data such as heart rate, steps and your calorie burn, as well as sleep stages, to help you become more aware of your body's needs and offer helpful tips and advice to get the most out of your day (and night!) Choose to manually track over 15 exercise modes, such as run, bike, yoga, circuit training and more, or your tracker can automatically pick-up select exercises and send your stats straight to the Fitbit app, just in case you forget! The Charge 3 tracker is also water-resistant to 50m, so you can track your swims too! 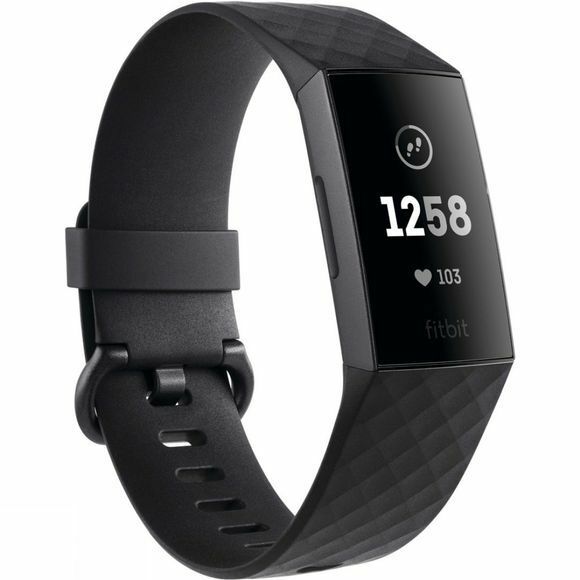 With aerospace-grade aluminium, a smooth-flush case and Corning Gorilla Glass 3 display, the Fitbit Charge 3 is lightweight, comfortable and durable, and can be customised to your own style using a variety of clock faces and interchangeable bands to suit. The Charge 3 tracker is also water-resistant to 50m, so you can track your swims too! When your phone is connected to the Charge 3, you can receive smart notifications such as texts and calls, and your tracker can utilise your phones GPS to give you real-time stats like pace and distance on the screen. Connect wirelessly to the Fitbit app for a complete picture of your health and fitness– the handy dashboard gives you an overview of your daily goals and movement, as well as access to your post-workout summaries and sleep data, female health tracking, food/hydration log and much more. Take on your friends and family in Fitbit challenges to climb the step leaderboard, or challenge yourself to improve a little more every day.